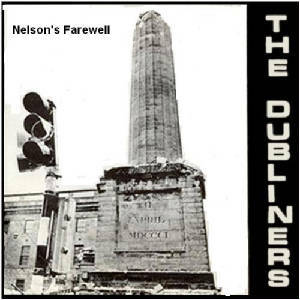 Nelson's Farewell The Dubliners Lyrics And Chords Written by [Galway] Joe Dolan.Joe was a founder member of Sweeneys Men with Andy Irvine and Johnny Moynihan, Terry Woods replaced Joe Dolan when the band went professional. Their biggest hit was Old Maid In The Garret. Other hits by Joe that were recorded by Christy Moore include ''The Foxy Devil and Trip To Jerusalem. Joe passed away Feb. 2008. [C]Oh, poor old Admiral Nelson is no longer in the air. [F]Toora loora[G7] loora loora loo! Where once he stood so stiff and proud and[C] rude. It's a service to the nation. So[C] poor old Admiral[G7] Nelson, toora loo! And the lad that laid the charge, we're in debt to him today. But no one tells the Irish what they'll view. For the boys of Ireland showed them what to do! Old Nelson took a powder and he blew! Than poor old Admiral Nelson, toora loo! It was 1967 and The Dubliners were signed to Record Company ''Major Minor'' which was owned by Irishman Phil Solomon, The Dubliners recorded an old ballad 'Seven Drunken Nights' with Ronnie Drew singing lead vocals. It was released as a single which was banned by R.T.E. in Ireland because of the song's bawdy lyrics. An offshore pirate radio station ''Radio Caroline'' played it heavily. Phil Solimin was also a director of Radio Caroline and that's why it got so much radio play. 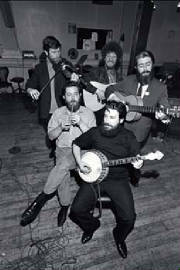 The record made the British top 10 in May 1967 and The Dubliners appeared on Top Of The Pops. No one was hurt by the IRA explosion. The closest bystander was 19-year-old taxi driver, Steve Maughan, whose taxi was destroyed. O'Connell Street enjoyed a cheery atmosphere for a few days as people crowded in to appreciate the novelty that was being referred to around town as 'The Stump'. Two days after the original damage, Irish Army engineers blew up the rest of the pillar after judging the vestigial structure to be too unsafe to restore. This planned demolition caused more destruction on O'Connell Street than the original blast, breaking many windows and causing painfully-amused Dubliners to roll their eyes and joke about how the authorities "should have got the original boys back to finish the job"! Within a matter of days, a group of Belfast school teachers: Gerry Burns, Finbar Carrolan, John Sullivan and Eamonn McGirr, known as The Go Lucky Four reached the top of the Irish music charts with Up Went Nelson, a popular folk music song to the tune of Battle Hymm ofthe Republic which maintained the Number 1 spot for 8 consecutive weeks. The rubble from the monument was taken to the East Wall dump and the lettering from the plinth moved to the gardens of Butler House, Kilkenny. Ken Dolan and six other students from the National College of Art and Design stole the statue's head on St. Patrick's Day from a storage shed in Clanbrassil Street as a fund-raising prank to pay off a Student Union's debt. They leased the head for £200 a month to an antiques dealer in London for his shop window. It also appeared in a women's stocking commercial, shot on Killiney Beach, and on the stage of the Olympia Theatre with The Dubliners. The students finally gave the head to the Lady Nelson of the day about six months after taking it, and it is now in the Civic Museum in Dublin. The Nelson's Pillar Act was passed in 1967, transferring responsibility for the site of the monument from the Nelson Pillar Trustees to Dublin Corporation. The site was simply paved over by the authorities until The Spire of Dublin was erected there in 2003. In 2001, whilst the site was being excavated to prepare for the foundations of the spire, The Irish Times announced the discovery of a 200 year old time capsule. This, in fact, turned out to be a dedication plaque commemorating Nelson's achievements. On 23 April 2000, Liam Sutcliffe, 67, from the suburb of Walkinstown, claimed on the RTÉ radio programme Voices of the 20th Century that he was responsible for blowing up the monument. Sutcliffe is a republican supporter who has been linked in the past to the Official Sinn Féin movement. He maintained that in Operation Humpty Dumpty, the explosive used was a mixture of gelignite and ammonal. He declined to confirm his remarks when he received a visit at home from Garda Special Branch detectives four months after his radio interview in August. Then, on the morning of 2 September, he was arrested under Section 30 of the Offences Against the State Act and invited to repeat his allegations at Store Street Garda Station. His reluctance to do so, while in custody, resulted in his release without charge that night. The Gardaí prepared a file for review by the Director of Public Prosecutions to decide if the matter should be pursued further. However, many people continued to demand the prosecution of those responsible for the destruction.